The LiveRez QuickBooks Connector can connect the LiveRez vacation rental software to your version of QuickBooks. LiveRez offers a real-time integration with QuickBooks for vacation rental accounting. And, heading into tax season this integration comes in especially handy for our professional property manager partners. While our QuickBooks integration is a huge help when it comes to taxes in general, it’s also very useful at the beginning of the year when managers are preparing year-end statements and producing 1099s for their owners. 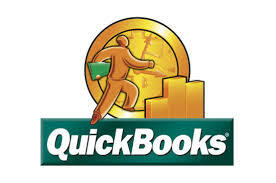 Whether you’re reporting gross income or net income, QuickBooks can save you time and effort. In fact, the 1099 Wizard in the newer versions of QuickBooks Pro can help you print and/or e-file both your owners’ 1099 forms and your 1096 form in as quickly as just minutes. If you’d like more information on LiveRez and how our QuickBooks integration can simplify your vacation rental accounting, call us today at (800) 343-2891. ←Is Dr. Frankenstein Running Your Vacation Rental Company’s IT Department?